Sherrie Rohde is the community manager for Magento, connecting the community with resources and with each other. She also co-produces a weekly broadcast for community professionals called #CMGRHangout and leads the collaboration for the 24 hour Community Manage Appreciation Day broadcast. Sherrie is an ENFP, passionate about community, innovation and user experience, terrified of status quo and motivated by adventure. Welcome to Community Signal, the podcast for online community professionals. Sponsored by Emoderation: smart social, globally. Here’s your host, Patrick O’Keefe. Patrick O’Keefe: Hello and thank you for listening to Community Signal. This is our sixth episode, and now that we’re up and running, I really want to start bringing listeners into the show. How should we do that? Send me your ideas. One idea is that I’d love to see people tweet as they listen to this show. 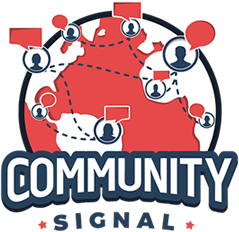 If a particular point resonates with you or you have something to share, use the #communitysignal and I may feature it on a future episode. I would like to thank David DiGiovanni, who is the first person to review the show on iTunes. David and his brother Paul do online community building and consulting at GroupSRC.com. Thanks again David. This week I’m speaking to Sherrie Rohde. Sherrie is the Community Manager for Magento, connecting the community with resources and each other. She also co-produces #CMGRHangout, a weekly broadcast for community professionals, and leads the collaboration for My Community Manager’s 24 hour Community Manager Appreciationm Day broadcast. You can find out more at MyCMGR.com, and CMAD.co. Sherrie is an ENFB, just like me as luck would have it. She’s passionate about community innovation and user experience, terrified of the status quo, and motivated by adventure. Sherrie, welcome to the program. Patrick O’Keefe: It sounds awkward, are you not used to people reading your bio out loud? Sherrie Rohde: No, totally not. Thank you, it’s good to be here. Patrick O’Keefe: No, it’s good to have you on. Now Community Manager Appreciation Day is January 25th, and as I just said My Community Manager is once again organizing a live stream in honor of the event. What do you have planned? Sherrie Rohde: We do have twenty four different hours. The fun part, for me anyways, is to watch different community leaders come together to do that. What I actually do is reach out and find different panel organizers around the world who are willing to take an hour and create a panel based on a topic that they’re passionate about in the community space. Finding the panelists, creating the questions, and then just bringing all of that together. I know we’re talking about employee advocacy, self care for community managers, your hosting a panel on managing community volunteers. There is just a lot of great topics throughout the day. Patrick O’Keefe: Yeah, everyone’s pretty easy to work with, except for those that can’t seem to commit to coming on 100%, just like me. Sherrie Rohde: Everyone has got to have their trouble makers, right? Patrick O’Keefe: Right. We have back up for me anyways, hopefully. I look forward to participating. It’s always a tough part of the year for me because it seems like, it’s a joke, but I am always at my grandparents house. I don’t know what the deal is with that, I may have to talk to Jeremiah Owyang about picking this day, because it is like I am always at my grandmothers house, and her internet is always terrible. This year, if I can find somewhere to record, or to steam, I will do so. If not, that’s why I put those people together. Really, when you have Rebecca Newton, Scott Moore and hopefully David DeWald, you don’t necessarily need me. It will be a good session, whether or not I am there. Thanks for organizing that, and thanks for hosting the #CMGRHangout, it’s a really great resource. Sherrie Rohde: No problem, it’s my pleasure. Patrick O’Keefe: All right, so let’s get into what you do on a day to day basis. You’ve described your role at Magento as your dream job. You now manage the community that you volunteered in for almost 7 years, and when you first came to the community, you were just another member using the software. By volunteering as a forum moderator, you learned about community as a profession. It set you on a new career path. When did you realize that this could be something more than just a volunteer gig? 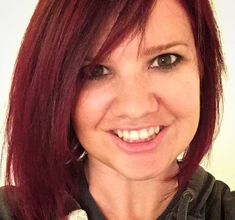 Sherrie Rohde: For me it was as soon as really the community manager from Magento, at the time, Rhonda Rondeau, taught me that community was a profession, and that her role was a job that existed. As soon as I realized that you could actually build a career around building relationships with people. Connecting them with things and people that they are looking forward to succeed, I knew that that was a pretty good fit for me. Those are strengths and areas of interest where, to be honest, most of the time it doesn’t actually feel like work. Patrick O’Keefe: Well you have found your dream job then, if it doesn’t feel like work. You know, it is an interesting origin story and it’s a pretty common one, because I find that … You know, I had Sarah Hawk on a few episodes ago, and her story’s very similar in that, she volunteered on the SitePoint Forums for a long period of time. I don’t think it was 7 years, but it was years and years, then she got to manage that community. It’s really interesting to see when the volunteer becomes the community manager. Sherrie Rohde: Yeah, it’s really great because they always say, if you could walk in someone else’s shoes. I feel like I have walked in a significant portion of our community shoes. Starting out using Magento as a merchant and as a developer and then moving from there to work for, at the time, one of our platinum technology partners. Building their community, but interacting from that way. Then, for a little while I did some freelance for some of our solution integrators, so I was on that aspect of our community, working with the people who are helping others build their stores. Then I worked for another merchant again after that and then came on as community manager. I was able to experience the developer roll, the merchant, the solution integrators roll and the technology partner roll. Those are the main elements of our community, the main types of community members that make it up. It’s neat to be able to know what they are experiencing in their day to day, likely, not always obviously. Everyone is going to have a slightly different experience. That’s been really impactful for me. Sherrie Rohde: It was always fun, it was always a labor of love. Some of it was freelance work, so these guides that I worked on actually was contract work, it wasn’t purely volunteer. A lot of it was just learning along the way too. When you are in there all the time learning and you can reach out and answer newbie questions because you have already learned those answers so that the really smart people can help you with your now more complicated problems. It’s really fun, it’s great. It didn’t really feel like work to be honest, it was just something great to do as I was learning to give back and help others. Just continue to be active in the community where I had really started to get to know people, and started to build those relationships and those friendships. It felt like I was part of something bigger. 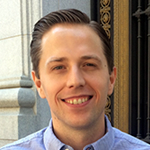 Patrick O’Keefe: You mentioned answering newbie questions and having the different levels of expertise. I come from an open source background, too. I ran a community, the largest unofficial resource for the phpBB forum software for like 11 years. Over the years I’d have various staff members, moderators and support team members. They’d have varying levels of expertise and there was a guy named Tanner Smith. He was a moderator in our community for years, and I don’t know, I think it was him, it might have been him. We had this conversation where he was like, and it might not have been him, it might have been someone else, but he makes me think of it because he was answering a lot of questions, a lot of simple questions about the software. Someone asked me once, you know, I say once, I don’t know. I don’t know if I can really contribute. I don’t know as much as this other support team member who had been around for a long time. I don’t know as much as them, I am not an expert like they are, but a lot of the questions aren’t expert level questions. I mean, a lot of the questions are very simple, straight forward beginner questions. When it comes to answering those questions, a lot of people are able to do it. Those questions have to be answered like any other. Your top experts, the people who really know the intricacies of the software, might not dive in for those questions, or might not be the people best suited for them. Someone still needs to answer them and that contribution is no less valuable. That guy I was talking about is now an OS X developer at Apple. If it was him, great. If not, my memory is hazy, but he was answering a lot of those simple questions and you never know where that leads. Sherrie Rohde: Yeah, absolutely. You have been around for a long time, get tired of staying, “Hey, have you cleared the cache?” Or, “Hey, make sure your folders are nested under this structure.” Inevitably, someone’s not going to go to the manual and find it or stumble across the thread where someone else answered it already. As much as we would love people to search first, it just doesn’t happen. Let’s be honest. Someone needs to be there to answer those questions for sure. Patrick O’Keefe: I have this belief that great support forums don’t tell people to search. I don’t know how you feel about that, it’s just sort of a thing I always said. “Don’t tell people to search. That’s why they are asking the questions.” It’s really a great opportunity to build their relationship and bring someone in. With support forums, you have this high, I don’t know, I guess you would call it a turn over rate, where people are there to get help and get back to their lives. Which is totally fine, but those people that you do bring in to become larger parts of the community, often times, they’re just the person who asked the question that’s been asked a thousand times. Once they get that friendly response, they become more. Sherrie Rohde: Yeah, absolutely, for sure. It’s nice because some people will keep coming back over and over. We have so many different aspects to it. There’s installing the software, but then there’s endless ways that you can customize it, because it is open source. There’s always people coming back trying to create some crazy functionality that no one’s done before, maybe someone else has. Or they want to know if anyone has seen an extension to do the functionality they are looking for, that they hadn’t thought of or hadn’t seen before. There is always some level of coming back to level up their store. Patrick O’Keefe: I would like to pause here and talk about our sponsor, Emoderation. Your primary responsibility is the Magento forums and before the show when I asked you about your biggest community wins, you said the following: “Our community has built an entire conference association that now hosts events in over 24 countries. This year alone, our community members have written at least 4 books about Magento and given over 500 talks at Magento and industry events. They host meet-ups to help evangelize our products and hack-a-thon’s to help improve it. To be a part of such a strong and energized community will probably always be my biggest win. I feel honored to be able to connect, empower and spot light them in their work.” This really strikes at something that I have been thinking about lately. Sometimes we fall onto a trap, I think, when we talk about the future and the evolution of community as a profession. Sometimes I’ll hear someone say something like, “At one point, community professionals were only thought of as forum managers.” Like it is some easy unimportant task for the peasants. Here’s my point. Powerful movements have visible individuals that the community identifies, they have spokespeople. They have authors, speakers, personalities. This usually is not the community manager, but behind every “visionary leader of a movement” is a person organizing, connecting and empowering the people that make up that movement. In my opinion, no one has a greater impact than that person. That’s the community professional, and that’s what someone does when they manage a forum or host an online community, just as much, if not more than any other platform. Professionally, when we really get at the core of this work, I don’t believe there is a greater calling than what you described. Sherrie Rohde: I think for me, if you really want to be a good community professional, you have to be okay with not being in the spotlight, because it’s not about you, it’s about the community. You have to be able to put yourself aside and not be like, “Look at this thing that I did.” Instead, be like, “Look at this thing that this community member did.” They are fantastic, and that’s what you are there for, and if they didn’t exist, you wouldn’t even have a job. Patrick O’Keefe: Right. I have always found it to be, while 100% well meaning, right, because it’s what community professionals should be doing, is always shifting the praise and taking the blame, which is fun. It’s kind of a trick even in some way because when you shift that praise to other people, when you talk about other people all the time, it makes them want to talk about other people. In some cases they talk about you, because it makes them think about the community and the fact that they are receiving this praise because of what they are doing in the community. Why does that community exist or how is it here, how does it happen? It’s not just magic, there is someone managing it. It kind of creates this circle of understanding and appreciation and praise. I think that’s a pretty cool thing. Sherrie Rohde: Yeah, definitely. If you are doing your job right, those internally know the work that you are doing and they value that anyway. You should always be advocating for the community internally and bringing that feedback back to them. You don’t need to be, “Hey, look at this thing that I am doing.” They should be able to see it from what you are doing. Patrick O’Keefe: They should. When I asked you about the value of community to Magento, prior to this show, you mentioned that almost daily you are asked by someone, somewhere in the company, what the community would think about “X”. As we get lost in ROI calculations, I think we can forget that there is a real value in having someone who knows the community so well that they can make reasonable predictions about how community members will react to something. It’s not something that comes easy. You have been in the community for more or less a decade now, but there is a real value when you have a community manager who understands the community that well. Sherrie Rohde: Yeah, for sure. There are times when they are looking for community members to do user experience surveys or talk with someone about the brand. Most of the time what they just need to know is a general feeling from the community, how they would feel about something. While it is okay to go out and ask them, sometimes you just need to be able to know, “Oh, well they would probably react to X with Y, or Z with B”, or whatever it is at that time. Patrick O’Keefe: Yeah, and it helps you to avert a crisis potentially, to be able to make that kind of quick decision. Even if you think, “Okay, well they probably won’t like it.” You can always use that as a moment to pause and step back and go and ask people and say, “Is that really how it is.” Rather than just throwing it out there. Sherrie Rohde: Absolutely. Even in non-crisis situations, you should always have a pretty good idea of how your community would respond to something, especially when you are working on strategy or any sort of implementation. Even when you are just responding to them, you should be able to know how they will probably take that response. Patrick O’Keefe: Let’s talk about self care. For years and years, I have run into people who believe that to work in community, you must always be connected. The internet is always on, so must we be. Don’t you think that’s a unrealistic, unhealthy expectation? Sherrie Rohde: It is so unrealistic and so unhealthy, yes. It kills me when people say that. I think one of the biggest things that was a turning point for me in realizing this. Before, I thought well if you need time for yourself, that’s kind of selfish, which is maybe my extrovert talking. I didn’t realize that you actually couldn’t be who you need to be to help your community, unless you are actually taking the time to take care of yourself. It was actually Natalie who used to be the Google+ community manager, she mentioned this during one of our CMAD broadcasts back in 2013. It really stood out to me, because once I realized that that was actually the opposite of selfish. Taking the time to take care of yourself so that you can be who you need to be for your community, makes you so much more effective and so much more what they need. Patrick O’Keefe: I don’t know. I don’t know … I mean, I get the mindset. I mean, I am a hard worker, I have always kind of prided myself on grinding things out, but I have never had the thought that I needed to be there all the time. I am grateful that that thought never popped into my head. Maybe it’s just the fact that I have always worked for myself. I don’t know if that helps you or hurt you. When you work for yourself, sometimes it feels like I don’t want to waste any time at all. I have never found it impressive when someone acts like their community needs them to survive. I don’t think that’s something you should take pride in. If your community can thrive without you, that speaks volumes to me. Sherrie Rohde: Yeah, I 100% agree. It’s way more impactful if your community can keep things going. I think that’s where sometimes volunteers come in, community volunteers. On the forums we have super active moderators in Italy and Moasia. They are awake in time zones where if I am not sleeping, I am not going to be able to function properly the next day. So really nothing going on the forums, or really in any area of community. It shouldn’t be that crucial to where you can’t sleep the way you need to, or go climb a mountain or whatever it is that you do to de-stress and take care of yourself. Patrick O’Keefe: This might kill some people when they hear this, but I have left my communities for weeks at a time, and somehow when I got back, they were still there. I don’t know how, just the magic of the internet I guess, but they were still there when I got back and there weren’t any fires. No buildings had fallen down. Sherrie Rohde: They didn’t fall apart without you? Patrick O’Keefe: No. I mean they didn’t. I am not a qualified person to analyze the mind, but there is a lot of ways we could talk about why that is. I think for some people it might be an ego thing, where if the community doesn’t need me, then what does that say about me. If the community doesn’t need me, I am not needed, which is not the right way to look at it. I think there is also an issue of maybe job security, where if someone feels like the community doesn’t need them, maybe that job isn’t necessary anymore, I won’t get that salary anymore. Which is unfortunate if they are in a workplace where they need to feel that sort of pressure. I mean there is all sorts of reasons how people justify not being able to step away from the community. Sherrie Rohde: I think it is really sad, sometimes it’s like you said, it’s a matter of ego. Jono Bacon actually talks about that in his book, “The Art of Community” and talks about how there are so many people who started out as amazing community professionals, but the ego actually got to them in community. It kind of took them down, which is really sad to watch. It’s true, like you should never be so full of yourself that you think anyone or anything can’t survive without you. One of my early bosses once told me that everyone in our company was replaceable, including him. I think that was a really important lesson to learn early on, because you can get so confident in your job where you think that you are irreplaceable and untouchable, and that’s dangerous. It’s really dangerous because somewhere in the world is someone else who can do what you do, maybe not exactly in the same way, but they can get results that the company will be happy with. You should never believe that that isn’t the case. Patrick O’Keefe: Maybe they can do as well as you Sherrie, but come on, no one can touch me, okay. Patrick O’Keefe: Oh no, my downfall. Oh my ego. Nooooo! It’s good to be confident, it’s good to be realistic and I think you know, you mentioned the volunteer staff as being part of the support system. I think that’s a great point. One of the reasons that I feel like I can step away is because, on KarateForums.com, at least, I have this wonderful team of volunteers. It’s a very veteran team, I have 5 moderators and they have probably been with me a combined 50 years at this point, all together. Ones been with me for like … Well, it’s probably more like 35-40, but one has been with me for 12 years, as a staff member, which is insane and unheard of, as far as I am concerned, for volunteers. To have someone that long with you, certainly I have never had someone that long. Most communities don’t last that long, but this person has literally been with me that long, and it is crazy to have someone that knows the community that well. Maybe she could know what I am thinking in advance on certain things, because she knows me that well and how I operate. The whole team is that way, they have a deep understanding of our guidelines, of our members, of our community of how moderation works and what we are trying to accomplish. That’s really equal to me. That allows for a lot of great things that allows for a lot of great feedback and discussion on where we should go, but it also means that when I step away, they are fully capable of taking care of things in my absence. I never feel like anything bad will happen. I think even someone who is a manager of, let’s say they are a solo manager, with no volunteers because the community isn’t that active. It might be, I don’t know, I don’t want to through out a number, but you know, there is 10, 20 posts a day lets say. Even in those cases, what’s the worst that can happen, right? In most cases, for most community managers, you are not managing a community where it’s children targeted at children, you are not managing a community on mental health, right. You are not managing a community on those sorts of issues, you are just managing a support forum, or a sports forum, right? Think about it, there’s really nothing that, probably for the most part, nothing that bad could really happen in a few days. Sherrie Rohde: Yeah, for sure. In our case, our forum is actually not even for official support from the company, we actually have a paid support team for our license subscribers. In that case, really it’s people who are there for help from other people in the community who have been there, done that. There is some times a sense of urgency, definitely, but it’s also a free reference or resource available for those who are working with our community addition. What’s really great is that I now have an awesome boss who 100% understands that and makes sure that I take time off and take care of myself as well. It’s great to be supported from internally from the team as well. Patrick O’Keefe: I think it’s really about again, context and realism and these kinds of, being realistic about what is happening, right? My moderators have my cell phone in the case of a suicide threat. If something like that comes up, I want to know right away, they have my cell phone. That’s happened like 2 times in my 15 years managing my community. That’s the sort of thing I would consider a true emergency. Everything else, piece of spam, a personal attack, the F-word, right? It can wait a few days. Nothing is going to be that bad, or it can’t wait a few days. I feel like on some level, we talk about expectations from our employers and expectations of us as far as being on the community 24/7, but I feel like there is also something to be said for setting expectations with members in the community. When a member has an unrealistic expectation and clarifying that for them. What is actually reasonable to expect turn around time. I’ll run into people, as we all have, where it’s like something was on the forum for a few hours and they are like, “Oh my gosh, what are you doing back there. Why haven’t you taken care of this already, it’s been 5 whole minutes.” You have to, or I do anyway because I am not afraid to sit down with that person and say, “Hey, thank you for your message, I appreciate you pointing that out to me, but …” In a more professional way, things might be up for a little while, if something is up for a few hours, a few days, please report it and just forget about it, go about your day. Overtime people get the right expectation I think, that it’s not the end of the world that this is online for the moment. Sherrie Rohde: Yeah, definitely. That’s where your team comes in helpful too though. Even if it’s a volunteer team, or maybe it’s the platform that you use. We use Lithium and it has a really good spam quarantine, so it catches a lot of that. If I see recurring themes, I can set filters to specifically catch that. The nice thing is that any of our links that are reported when posts are reported as inappropriate come into one board that the admin’s can see, so it is really easy for them to hit it as soon as they log in. Patrick O’Keefe: When it comes to self care, is there something that the community can do to make the professional feel more comfortable? Not that the community owes them that, but as far as communication or working with the community, what can be done? I also have a community who will go to PHP conferences and talk about mental health and help spread that word among developers. I think that that’s super important as well. When you open those lines for communication about self care and about mental health, even within your community and they can address it to their own lives too. It helps them understand that you need a break as well. Sherrie, where can people find you on line? Sherrie Rohde: I am pretty much everywhere at my name, which is Sherrie Rohde. Mostly active on Twitter, but pretty much everywhere. Patrick O’Keefe: If you are interested in the 24 hour live stream for Community Manager Appreciation Day, go to CMAD.co and hopefully I will be there. Either way, January 25 is the day. Sherrie Rohde: Thanks for having me. Patrick O’Keefe: This has been Community Signal. Visit our website at communitysignal.com for subscription options and more. Community Signal is produced by [inaudible 00:25:49], and I am Patrick O’Keeffe. See you next week.